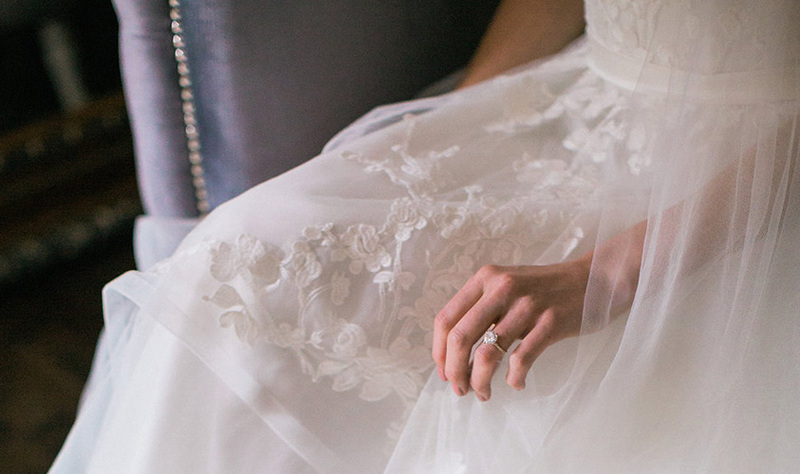 You have finally found your dream wedding dress, congratulations! Now, it’s time to talk about making sure it fits you perfectly! Alterations will be necessary to ensure your dress fits you flawlessly. To ensure the perfect fit, our in-house seamstress will make estimates during your first fitting and decide with you what changes will be best for your wedding dress to fit you just as you have imagined. As soon as the wedding dress arrives, we will schedule your first, second, and third fittings, so that you may choose the dates that are the most convenient for your schedule. How far in advance should I begin my alterations? It is never too early to start the alterations process, especially if you are getting married in the summer or fall, as that is the busiest time for our seamstress to work on dresses. The sooner we are able to schedule your fittings, the better. This gives us plenty of time for your first fitting to be completed so that our seamstress will have plenty of time to work on your dress before your second and third fittings. The best timeline for scheduling your alterations is as follows: The first fitting will be right after your dress arrives, the second fitting will be a month or so before your wedding, and the third and final fitting will be the week before your wedding. If additional fittings are necessary for custom changes, those will be scheduled in between your other fittings. If I didn’t purchase my dress at Blue, can I still set up alterations at Blue Bridal? Yes, of course! 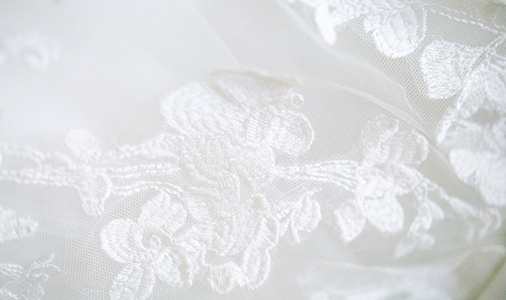 Our seamstress is very skilled and has worked with many different types of wedding dresses. Our seamstress also has experience with a wide variety of customization options. There is no difference in price for a bride or bridesmaids that did purchase their dress at Blue Bridal Boutique versus those that did not purchase at our boutique. Can I bring in my bridesmaids dress to be fitted? Definitely! Alterations for bridesmaids usually range between $60-$200, which typically includes a hem and taking in the sides. If you only need one or the other, the costs can be significantly decreased. What do I need to bring to all fittings? Please, bring your shoes. The seamstress cannot accurately pin your hem without knowing the heel height you are planning to wear on the day of your wedding! If you cannot decide on the right pair of shoes until your first fitting, bring a few options to try on and we will help you decide which pair will be the best. Please also bring the undergarments you are planning to wear, whether that be shape-wear, a bra, or a bustier. If you choose not to bring a bra, that is completely fine. Our seamstress will typically sew bust cups into the dress. How long is each one of the fitting appointments? Each appointment is scheduled for one hour. This gives the seamstress and our alterations manager time to explain the process, go over the pricing and cost estimation, discuss travel recommendations, and help you find your accessories. 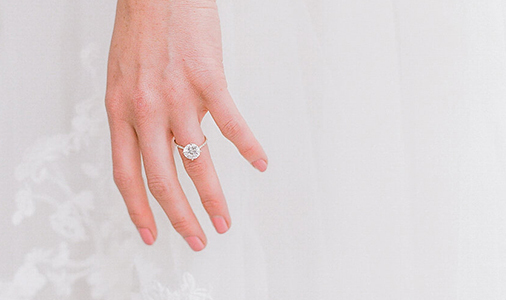 If you believe that you will be at least 15 minutes late the day of your appointment, you may be asked to reschedule, as appointments are booked back-to-back in order to accommodate as many brides as possible. We schedule fitting appointments on Sundays, Tuesdays, and Wednesdays from 10:00am-6:00pm, with the last fitting beginning at 5:00pm. Since we are limited in our availability, we ask that you schedule your fittings in advance, so that you may choose the day and time that works best for you before the schedule fills up with appointments. Can I get a quote for the cost of alterations before setting up a fitting? Please give our alterations manager a call to help estimate what costs may be expected during your first fitting. An exact price quote will not be given until you are in the dress and the seamstress is able to pin it to determine the exact alterations estimate. If you choose to do alterations elsewhere after a first fitting, there will be a $50 pinning fee to remove the pins. Pricing for alterations typically ranges from $300-$600 on average. The most costly part of alterations is doing the hem, which is $290 for any dress. If you would like to try to avoid doing a hem, please bring a variety of heel heights to your first fitting, so we can see if that would be possible. Keep in mind that elaborate beading and lace re-application can heighten the costs for your alterations. Can I schedule a fitting with my bridesmaids or mother of the bride? Depending upon the demand of the schedule, we may be able to extend the appointment to accommodate your guests’ fittings. The farther in advance you request an appointment, the more availability the seamstress will have to book a longer appointment, if necessary. Please let us know when you schedule your first fitting if this is something you are interested in doing. For more information about wedding and bridesmaid dresses, contact us.